Composer, video designer, vocalist, pianist and musical director, grew up in Orange, a town in the central west of New South Wales Australia, surrounded by Pub Rock and Musical Theatre. 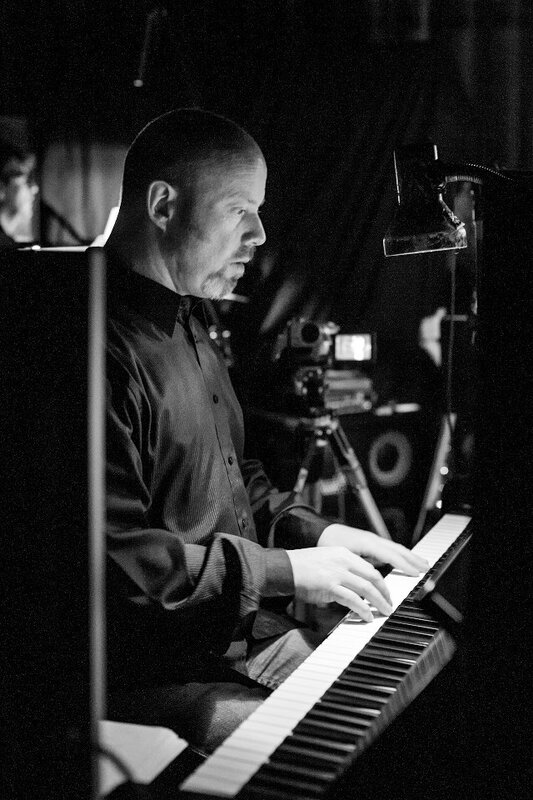 Composer, Video Designer, Vocalist, Pianist and Musical Director, Andrew grew up in Orange, a town in the central west of New South Wales Australia, surrounded by Pub Rock and Musical Theatre. He has musically directed productions of Assassins, Little Shop of Horrors, High Fidelity, Rent, Truth Beauty and a Picture of You, Love and Death and An American Guitar. He has been Musical Director and also performed for Sydney Theatre Company’s 2013 and 2018 Wharf Revue. Andrew created new, modern musical arrangements for Dean Bryant’s production of Sweet Charity, which earned him a Helpmann Nomination and Sydney Theatre Awards nomination for Best Musical Direction. He also co-produced the original Australian cast recording of Hedwig and the Angry Inch as well as Jimmy Somerville’s album Suddenly Last Summer. In the world of Cabaret and Concert Andrew has performed alongside the likes of Christine Anu, Jenny Morris, Melanie Safka, Florence and the Machine, Paul Capsis, Trevor Ashley, Jimmy Somerville and John Cameron Mitchell. In 2015 Andrew received from the Glugs the HAYES GORDON MEMORIAL AWARD for Important Contribution to Theatre.